Give your bike a fighting chance this winter with an All Year Biker treatment. Get 15% off with an insurance quote through MCN Compare today. What is All Year Biker? 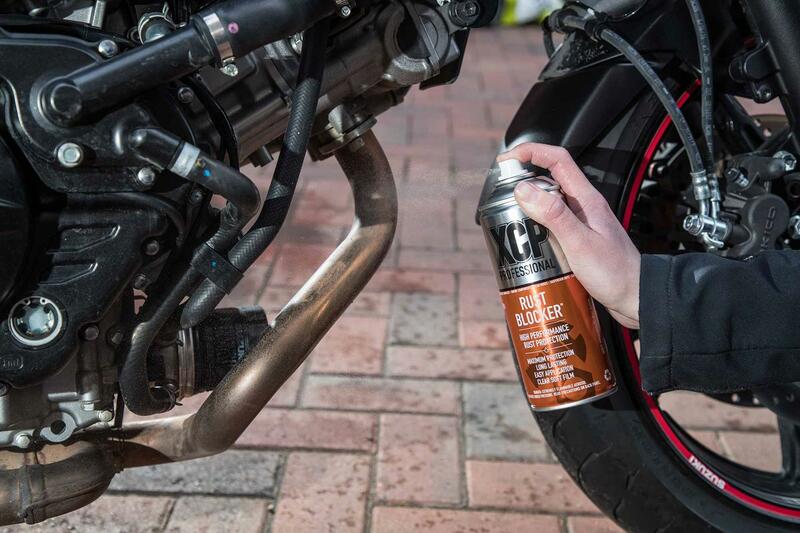 All Year Biker offer a pioneering treatment system for motorbikes, deigned to protect your machine from the constant barrage of road salt and grit that can lead to corrosion and hinder motorcycle performance. Helping to defend your pride and joy for up to 12 months, the company use their own brand of cleaning products and techniques to offer a finish far greater than many could ever hope to achieve on their own with a bucket and sponge. MCN have teamed up with the firm to bring you (yes, you) a 15% discount on a standard treatment, when you get an insurance quite through MCN Compare. Aren't we nice? This is an exclusive tie-up and the first of its kind for the cleaning firm. All Year Biker was founded around nine-years-ago by Roy Cross, who wanted a side project to work on during his retirement. 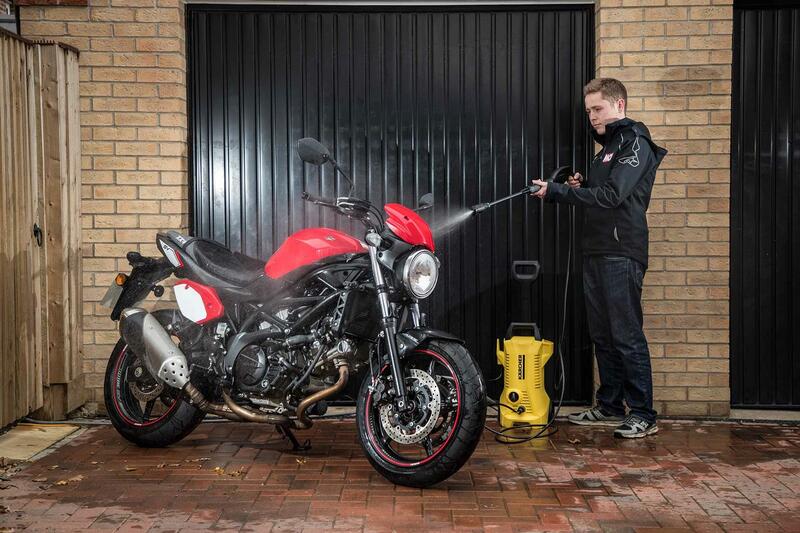 After studying the art of motorcycle cleaning from an engineer’s perspective, the cooperative business was born, with 26 operations now running across the UK, servicing around 4000 bikes a year for both individuals and dealerships. Although anti-corrosion treatments are now synonymous with winter riding, this technique will actually help defend your motorcycle all year round. Contrary to popular belief, Roy Cross claims that springtime can actually be far more harmful to your machine, saying: "For many, spring marks a return to milder temperatures and a return to riding. "However, this is the time of year when all of the road salt embedded in the tarmac begins to be washed out by the warmer rainfall," he explained. "This is the perfect breeding ground for the acceleration of the corrosion process. This is also the time of the year where farmers will be spraying pesticides and manure over their fields; both of which can corrode your bike." Although adopting a complex, structured regime on every motorcycle to guarantee the same high-quality finish, the AYB process is actually based on very simple chemistry. Founder Cross was able to explain this, saying: "Everyone knows the fire triangle; where you need a combustible material, oxygen and an ignition point for a fire. Well, corrosion works very similarly and you need a metal, oxygen and an electrolyte for it to occur. If you remove an element, it won’t corrode. "Manufacturers can’t do anything to remove the oxygen from the triangle, so look to prevent it coming in contact with the metals by adding coatings and paints. However, you can have weak spots, such as in welds, where the coating of the metal isn’t even. These are often susceptible to corrosion," he said. "The anti-corrosion sprays that we use are called UTFFs (Ultra Thin Fluid Films). These are designed to be applied to a thickness of two-thousandths of an inch and at that thickness you can’t see it. We apply these sprays using pressure misting. This is about 80% more effective than the sprays, cloths or brushes you may use and acts as a fog that flows into the bike. We use ACF-50 because it does the job of corrosion protection, but also leaves a nice finish." This UTFF then allows for a window of time between your motorcycle coming into contact with a corrosive substance and being forced to clean it off - making the job of daily winter commutes by motorcycle much less labour intensive. "If you’ve prepared your bike with a UTFF, then you can leave the bike for a few days," Roy added. "Generally speaking, the more often you can give it a rinse the better, but it’s not a case of going desperately in-depth. 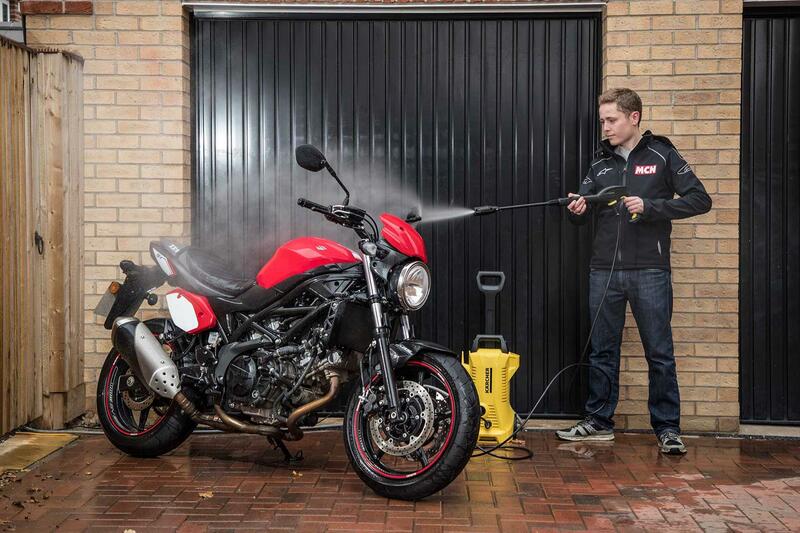 A simple rinse-off with a hose or pressure washer for a few minutes will help rid the bike of contaminates." This level of intricate detail also filters down to other parts of the bike, such as the chain, which can come under greater levels of wear in the poorer weather conditions. The same degree of care is also paid during the drying process, too – leaving customer wholly satisfied with the experience. "I’ve been using All Year Biker for three years now. We offer it to customers at the point of sale on all of our new stock and have recently also began offering it on our approved used Triumphs. "As you can imagine, a lot of people are unsure about going through with the treatment when we first suggest it because they think it’s just being cleaned. However, when you delve deeper and actually explain to people the benefits, then they start to understand. "In fact, the man that does all of our treatment enjoys around a 90% return rate on all of his customers, who definitely see the benefit of the service. "I’ve got a collection of 1980s and 1990s motorcycles at home and all of them have been treated – alongside almost every bike owned by members of staff at the dealership." "I don’t actually use my bike over winter and I think people can be quite complacent in thinking that just because it’s in the garage, it’s not susceptible to corrosion. When I decide it’s time to shove mine away, I have it cleaned by All Year Biker so it’s protected in storage. "It definitely does what it says and I’d definitely complain if it didn’t! I don’t in general endorse things because I think it should be left to someone’s own personal opinion. So, for me to want to endorse something, it’s got to be an exceptional product. "I’ve had three bikes looked after by the service; a Honda SP2, one of the latest Yamaha R1s and my Kawasaki ZZR1400, which has actually been done twice. 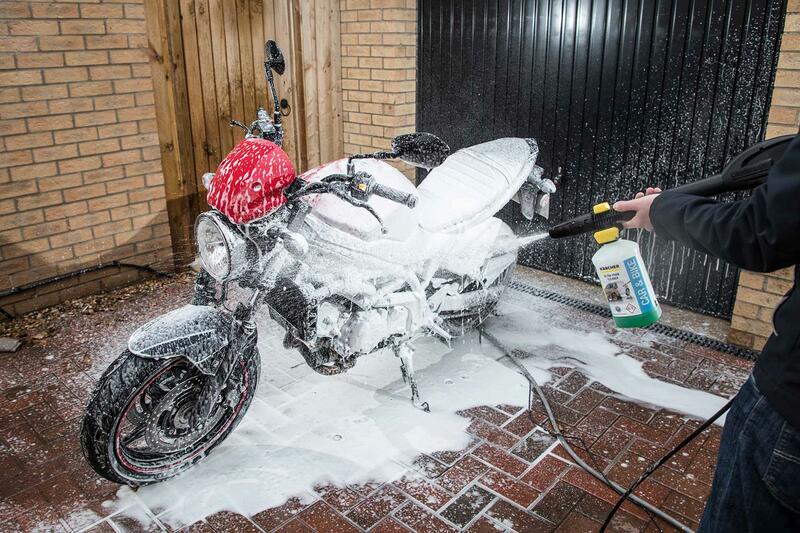 "Up here in Scotland, there’s a lot of salt on the roads and so there are real benefits to having your bike professionally cleaned, before putting it away."